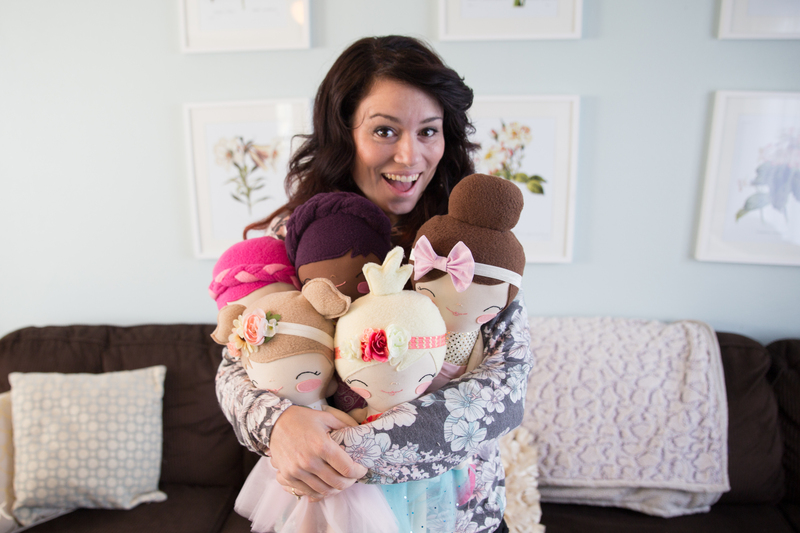 Owner and designer, Stephanie Garcia, is a self taught doll maker using her own patterns and designs to create a whimsical style that delights both adults and children alike. After the birth of her third child, Stephanie started using her talents and creativity to design and create dolls and children's decor as a way to supplement her family income, never imagining that this chosen path would lead to her full-time work as a toy maker. Stephanie works out of her home studio in Northern Arizona.